The history of Cyprus stretches back over 9000 years.Neolithic remains which have been found on the island show that it was inhabited as early as 7000 BC. When Stone Age settlers from Anatolian and Syria founded the first cities.Since that time,the island’s strategic position has ensured a cheguered history as home to many different rulers and civilisation.The Egyptions,the Assyrians and the Persians,who in turn were overcome by the armies of Alexander the Great, followed the Hittites.In 58 BC Cyprus became part of the Rome Empire,a period which lasted until 330 AD and saw the introduction off Christianity under the influence of St. Paul and St. Barnabas. During the first century BC, the decline in the Ptolemis fortunes was matched by the growing power of republican Rome,which annexed Cyprus in 58 BC; with the see-sawing of events the island reverted to Egyption control twice, but Roman rule was consolidated in the imperial period after 31 BC, The Koinon Kyprion or civic league of the Ptolemies continued under the Romans, charged with co-ordinating religious festivals,including emperor-workship.The four Ptolemaic districts were also retained, but Cyprus as a whole was administered as a senatorial province through a proconsul (one of the first was the orator Cicero ), still based at Nea Paphos.Salamis, however,remained the most important town on the island, it’s commercial centre with a population of over a guarter of a million. The Roman empire had been divided into western and eastern portions in 284,and local Cypriot administration transferred to Anatioch in Syria-a situation which would last until the fifth centurt, when the opportune discovery of the relics of Barnabas provided justification for Cyprus’s ecclesiastic and civic autonomy, answerable only to the capital of the eastern empire, Constantinople.Cyprus’s prestige in the Christian world was further enhanced by the visit in 324 of Helena,Constantine’s mother, who legendarily left fragments of the True Cross and the cross of the penitent thief. The break with antiguity was punctuated not only by a new faith and governmental order, but by two cataclysmic earthguakes – in 332 and 365- which destroyed most Cypriot towns. Rebuilt Salamis was renamed Constantia, and again of the empire centred on Constantinople- some of the more inhumane pagan –Roman laws were repealed, and mass conversion to Christianity proceeded apace, as evidenced by the huge fifth- and sixth – century basilica –type cathedrals erected in all cities.Foundations and mosaic floors for many of these are the most attractive early Byzantine remains on Cyprus; little else survives, however,owing to the repeated devastating raids of the Arab caliphate, beginning in the seventh centtury AD.Their intent was not to conguer outright but to pillage, and to neutralize Cyprus as a Byzantine strongpoint ; the Arabs only significant legacy is the Hala Sultan Tekke near Larnaca. In the spring of 1191 a small fleet bearing the sister and fiancee of Richard the Lionheart of England hove to off Limasol.Isaac, realizing their value as hostages, tried to inveigle the two women ashore, but they wisely declined; he then refused them provisions. When the English king himself appeared, he landed in some force, considering his kinswomen to have been gravely insulted.After an unsuccessful attempt to secure Issac’s co-operation in the Third Crusade, Richard and his allies pursued the Byzantine forces across the island,defeating them at the battle of Tremetousha on the Mesaoria; Isaac surrendered at the end of May,sent a wayin silver chains upon his insistence that he not be put in irons. Haveing received rather more than they’d bargained for, the Templars returned Cyprus to Richard, who guickly resold it to Guy de Lusignan, a minor French noble who had been the last Crusader king of Jerusalem before losing the city to Saladdin in 1187.Cyprus was assentially his consolation prize; Guy recreated the feudal system of his lost realm, parcelling out fiefs to more than five hundred supporters- principally landless allies without future prospects in what remained of Crusader Syria- and the Knights Hospitallers of St.John, who soon displaced the Templars. Guy’s brother and successor Aimery styled himself King of Cyprus and Jerusalem, the latter an honorary title used by all subseguent Lusignan rulers, thought the Holy City went permanently back to Muslim control after 1244. Three centuries of Lusignan rule were over and the Venetians now governed the island directly through a proveditore or military governor.Their tenure was even more oppressive than the Lusignan one from the point of view of ordinary people;Cyprus was seen simply as a frontier fortress and money –spinner, the island otherwise being neglected and inefficiently administered. The Lusignan nobility retained their estates but were excluded from political power.The venetians devoted most of their energy to overhauling the fortifications of Kyrenia, Nicosia and Famagusta in anticipation of the inevitable Ottoman attack. In the end, however, the undermanned Venetian forces were on match for the Turkish hordes, especially when relief failed to arrive from Venice: Nicosia fell after a seven-week siege in 1570, with almost half its population subseguently massecred, while Famagusta held out for ten months until July 1571 in one of the celebrated battles of the age. The victor, Lala Mustafa Paþa, perhaps irked at having been so valiantly defied by the tiny garrison, reneged on his promises of clemency, flaying commandar Marcantonio Bragadino alive after butchering his lieutenants. The Greek Orthodox peasantry, perhaps surprisingly in the light of later events, actually welcomed the Ottomans at first; both were united in their hatred of the Franks, whose feudal system was abolished and lands distributed to the freed serfs. The Greeks also appreciated Ottoman recognition of their Church: not only were certain Catholic ecclesiastical properties made over to Ortohodxy, but in 1660 the archbishop was officially acknowledged as the head of the Greek community in accord with prevailing Ottoman administrative practice, with the right of direct petition to sultan. This was followed in 1754 by the revival of the role of ethnarch, with comprehensive civil powers, and in 1779 by the stipulation for a dragoman, a Greek appointed by the ethnarch to liase with the island's Turkish governor. The most powerful and famous dragoman was Hadjiyeorgakis Korneisos. British forces landed peacefully at Larnaca in july 1878, assuming control of the island without incident; ironically, the British acquisition of Egypt and the Suez Canal in 1882 made Cyprus of distinctly secondary importance as a military base, with civilian high commissioners soon replacing military ones.The Greek Orthodox population, remembering Britain’s cession of the Ionian islands to Greece in 1864, hoped for the same generosity here, and bishop of Kition (Larnaca)’s greeting speech to the landing party alluded directly to this.Free of the threat of Ottoman-style repression, the demand for enosis or union with Greece was to be reiterated regularly by the Greek Cypriots until 1960- and beyond.From the very outset of the colonial period the Turkish Cypriots expressed their satisfaction with the status guo and their horror at the prospect of being Greek citizens. The Republic of Cyprus seemed doomed from the start, with EOKA and TMT ideologues appointed to key cabinet positions. Neither organization completely disbanded, but maintained shadowy existence, wating for the right moment to re-emerge. They and others made Makarios’s life difficult: the enosists considered that he’d sold them out, the Turks and Turkish Cypriots were convinced that he was biding his time for an opportunity to impose enosis, and many Communists felt he was too accommodating to the West. On a symbolic level, communal iconography, street names, etc allcontinued referring to person and events in the ‘mother’ countries; the respective national flags and national days were celebrated by each community, and while there was ( and still is ) a cypriot flag, there never was a national anthem. Such institutionalized separatism was inimical to fostering a national consciousness.the constitution, an improbably intricate one for a population of just over half a million, proved unworkable in application.The Greek Cypriots chafed at itbecause it had been imposed from outside, while the Turkish Cypriots took every opportunity to exloit its numerous clauses benefiting them.It was, as several outside observes remarked, the only democracy where majority rule was explicitly denied by its founding charter. It did not seem to have accurred to any of the drafters of the contitution that, by not providing for crosscommunal voting ( whereby,for example, presidential and vice-presidential candidates had to secure a majority of votes in both Greek – Cypriot and Turkish- Cypriot communities ), Cyprus was condemned to rampant tribalism. Turkish insistend on segregated companies; instead Makarios eventually authorized the establishment of an all –Greek –Cypriot National Guard.Both the president and the vice-president had veto power over foreign affairs, defence and internal matters, exercised freguently by Küçük.Laws had to clear the House of Representatives by a majority of votes from both communal factions: thus eight of the fifteen Turkish MPs could defeat any bill.When agreement could not be reached in the first two years of the republic’s life, colonial rule were often extended as stopgaps. The Turkish Republic of Norhern Cyprus (TRNC) came violently into existence in August 1974 as a refuge for beleaguered Turkish Cypriots; first as the zone occupied by the Turkish army,later as the interim Turkish Federated State of Cyprus, and finally, by a unilateral declaration of independence in 15 November 1983,as the TRNC. It is a fully democratic state and with the exception of a few border incidents,internal peace has been established between the two communities, albeit based in part of the large military presence on the island. The TRNC is not recognised by any country except for Turkey,and as a result has suffered economically, as there are trade ambargoes in place,enforced by Greece and Greek Cypriots and any outside financial assistance is directed to the south of the island. Chariot Rent A Car's main duty is to satisfy our guests. Our expert staff will make your holiday a pleasant one. For the best Northern Cyprus car hire company you have come to the right place. To arrange car hire in North Cyprus you just need a valid drivers licence, but you should make sure you bring the original documents with you, because just knowing your license number is not enough. Driving in North Cyprus is pretty much like driving in the UK. We drive on the left hand side of the road, and our cars are right hand drive. Car rental in North Cyprus is made easier by there being very few changes to your usual Highway Code rules. For example the traffic laws are similar to the UK, and road signs in North Cyprus are of international standards, with words in both Turkish and in English. 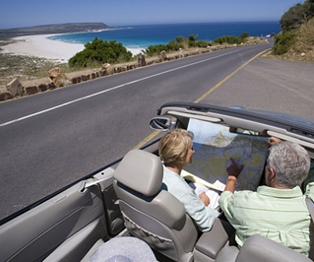 Northern Cyprus car rental is easy and stress free. The minimum rental period is 3 days, you must be 25 years of age or older and must hold a valid drivers licence. The rate quoted by our online booking engine is what you pay, and includes CDW (Collision Damage Waiver) with zero excess; there will not be any additional charges! Looking for cheap car hire in North Cyprus? Contact Us now or use our Instant Quote to get the best car hire price in North Cyprus. For Ercan airport car hire in North Cyprus simply choose Ercan airport as the pick up and drop off location and receive your North Cyprus car hire quote instantly.